Survey Junkie Review: Is Survey Junkie a Scam or Legit? 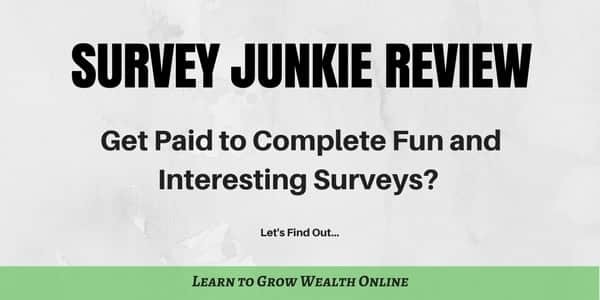 →Survey Junkie Review: Is Survey Junkie a Scam or Legit? Taking surveys is one way to earn some extra cash online. But most of the survey websites out there are either complete scams or they only pay a few cents for each survey. The results you get from the time invested is usually not worth the trouble. In short, survey websites are often a waste of time. Due to survey panel’s bad reputation, most people think taking surveys online for cash is not a viable way to earn some extra income. Well, I’m here to tell you it all depends on which platform you use. Today we’ll take an updated look at Survey Junkie, and see if we can use it to make some cash. Founder: Armen Adjemian. Founded in 2005. Best For: Anyone who want to make quick cash online that also lives in; United States, Canada and Australia. UK is out as of 10/12/2017. 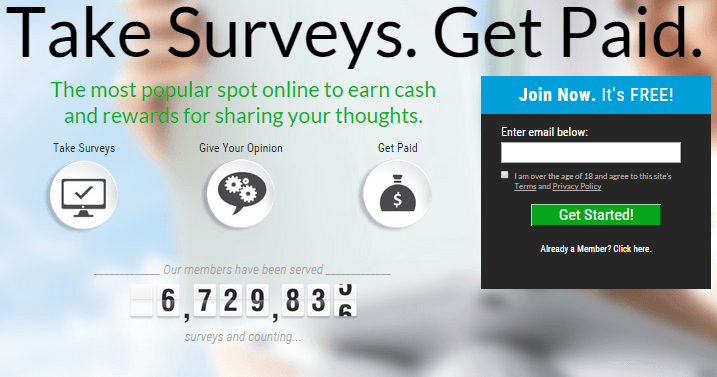 Summary: Survey Junkie is not a scam, it’s a legitimate survey portal that will pay you for taking online surveys. Survey Junkie is one of the few quality survey portals we recommend. However, Survey Junkie still has limitations in the fact that not everyone will qualify for taking surveys and some location usage restrictions. Special Note: Paid surveys will never provide you with a full time income online or even allow you to create passive income online. 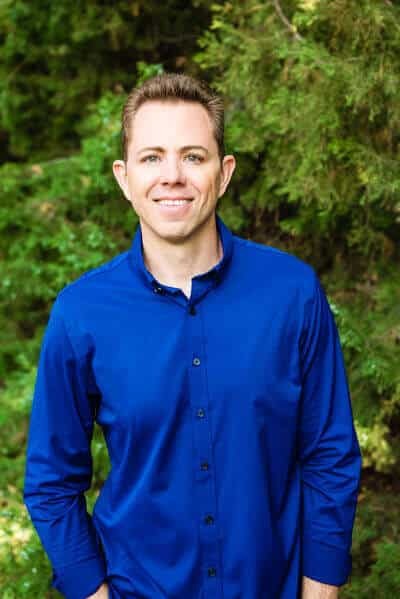 If you are looking for long term strategies to build full time or even passive income online, check out My Top Recommended Program – Click Here. Survey Junkie is an online platform where members can sign-up to complete surveys, and other tasks, for cash rewards. Its a very straightforward platform, and really user-friendly, anyone can make an account to start completing surveys for cash. Create an account with Survey Junkie. Select a survey that catches your interest. Once completed, cash will be added to your account. Continue completing surveys until you can cash out. Cash out via PayPal when you reach the 10$ threshold. Survey Junkie is ideal for anyone who wants to make some quick cash from the comfort of their home. In other words, everyone can benefit from this platform. If you find that you have some time to kill, I highly recommend trying out this program because you can make some nice pocket change. Of course, don’t expect to make thousands of dollars from completing a few surveys! Survey Junkie is something that can be done on the side while you work on other projects. Speaking of other projects, the product I owe all my online success is right here. Check Out My Favorite Online Training Program Here! Completing surveys can help to balance out your income, but it shouldn’t be your main source of income. Most surveys will bring in between 100 and 200 points, so it doesn’t take long to reach the minimum pay out. Unlike other survey platforms, this company will immediately add the points to your account, instead of waiting for the payment to be approved. You won’t need to wait four days to receive your payment. Most of the surveys are fairly easy to complete, and opinion-based. 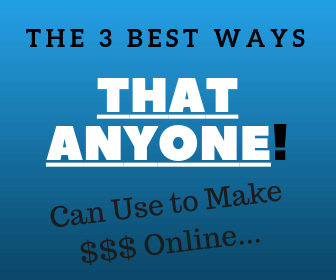 None of them require you to sign-up to other services or buy additional products! You only have to fill in the details. Previously, Survey Junkie would send out a few too many promotional emails, and a lot of people were complaining about spam. Thankfully, this is no longer a problem. And you can change all of your email preferences in your Survey Junkie account settings. On the other hand, it seems like there are not many surveys available, especially for Non-US visitors. Most of them are snatched up by other members in a matter of seconds. Nevertheless, I found that if you wait a bit and refresh the page, some surveys will show up. The reason why there aren’t many surveys is because you are only shown surveys that you qualify for, based on your interests and expertise. Australia (UK currently out as of 10/12/17 – We’ll Update when services there resume). Every other country is region blocked. So that’s one downside to the platform. But if you live in the above countries, then you can take advantage of the platform and start earning some cash. The company also has plans to expand to more countries, so don’t forget to check back from time to time. For starters, its completely free and you earn 25 free points when your create your account. Unlike other companies, it doesn’t ask for too many personal details, a name and a email address is enough to create an account. Some people have been complaining online and saying that Survey Junkie calls them on a regular basis, but this is actually impossible because the company does not require phone numbers. Besides being completely free, most of the surveys are fun and can be completed in a matter of minutes. Since the surveys are tailored to your interests, they’re fun to complete. It feels more like having fun than work. New surveys are added on a daily basis. So if there are none now, check back later, and there should be a fresh batch. Additionally, I really liked the low payment threshold. Most survey companies will require you to reach a high threshold, such as $100 or more, and it takes months to reach it (and even when you do, they sometimes don’t pay out). Survey Junkie’s minimum threshold is $10 and there are no additional withdrawal fees. In other words, its very easy to access your cash. Another upside is the rewards are added to your account immediately – no need to wait for the survey to be processed. You complete the survey, hit the “Finished” button, and the points show up in your account. If you don’t have a PayPal account you can withdraw the monetary equivalent in Gift Cards. Can You Get Rich with Survey Junkie? Let’s be realistic, Survey Junkie won’t make you rich. You’ll have to do a lot more than complete surveys to become a millionaire! On the other hand, if you’re looking to supplement your income, Survey Junkie can help! You won’t be able to earn thousands of dollars, but you can earn a few extra hundred dollars a month. Some users report earning an extra $20 – $50/day! 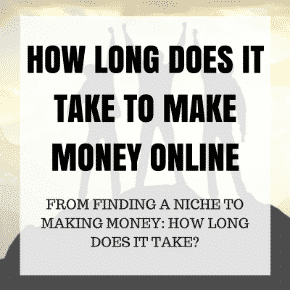 With Survey Junkie it’s easy to make fast cash. Survey Junkie’s online help center is active on a daily basis and they’re more than happy to answer your questions. I shot off an email in the morning and received a response only a few hours later. So unlike other platforms, their customer support team is quite active. Would you like to earn some extra cash with this opportunity? It’s really simple and easy! There’s absolutely nothing to lose. Thanks for taking the time to read this Survey Junkie review! If you have any questions, leave a comment below and I’ll do my best to answer.